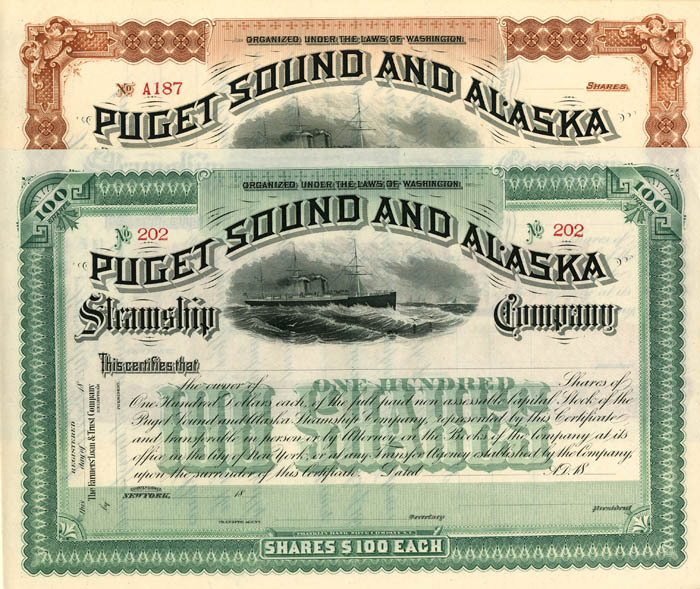 Operating from 1889-1904 as a subsidiary of the Northern Pacific Railroad, the company ran a steamship line from Tacoma servicing Puget Sound and Alaska. A number of prominent investors owned shares in the company. These particular types are Unissued in Brown or Green. Please specify color. Other types Issued to other important investors at higher prices such as William Rockefeller. Please inquire if interested.